Hello, and welcome to another edition of the American Beard Report! WPBMA Competition was a heck of a party and has been happening since 2008. Organizer Dave gram says that it's completely free to everyone and all money they raised goes to Muscular Dystrophy USA and pays for kids to go to a week-long camp for fun activities to improve quality of life. Awesome! Whiskers of War ’18 hosted by the Hampton Roads Beard & State Society was a huge success. Meaghan Cool of Wendell, NC says, “Congratulations on once again hosting such an amazing event! And Thank You to all the Veterans, your service is very much appreciated.” We salute their efforts and all the efforts of our Armed Forces. Whisker Bent and Hell Bound IV was also a spectacular showing. The Canyon State Beard Club raised $2000 for their charity The Singletons, breaking their record from previous competitions. Great work! It is so amazing that so many facial hair wearers, clubs and supporters are working together with their communities every day to promote positive facial hair awareness while helping out when and where they can. No effort to help is too small, and every act of kindness goes towards breaking down negative facial hair stereotypes. Your facial hair is a uniform that you wear 24 hours a day, 7 days a week. It separates you from the “43% of Americans that shave everyday”*, and the larger percentage of Americans that shave once or twice a week. Sometimes it is easy to overlook how different you might look on the outside with your face manes, but it’s important to notice that we are all representing our subculture at all times. Every time you return a shopping cart to the cart stand or hold the door open for someone else, you are sending a facial-hair-positive message to everyone who might see you. Being kind and considerate of others reassures everyone that the big/weird/scary beardo are all human on the inside, maybe even nicer than most. Find out how many American men have beards, roughly. Thanks for reading another American Beard Report. In the next issue we will be releasing some exciting news and we can hardly wait to share it with you! Until then, stay safe and Keep Growing for America! Correction: Last month we wrote that a “reported 150 members of the Bearded Villains” attended the 2nd Biennial GABMC in Richmond, VA. It has come to our attention by the RVA Beard League that 61 (not 150) competitors included a Bearded Villains affiliation at the time of registration. Sorry for the inaccuracy, but 61 is still probably a record number of competitors to enter a single competition from a single club ever! Thanks Bearded Villains! What inspired you to form a club? 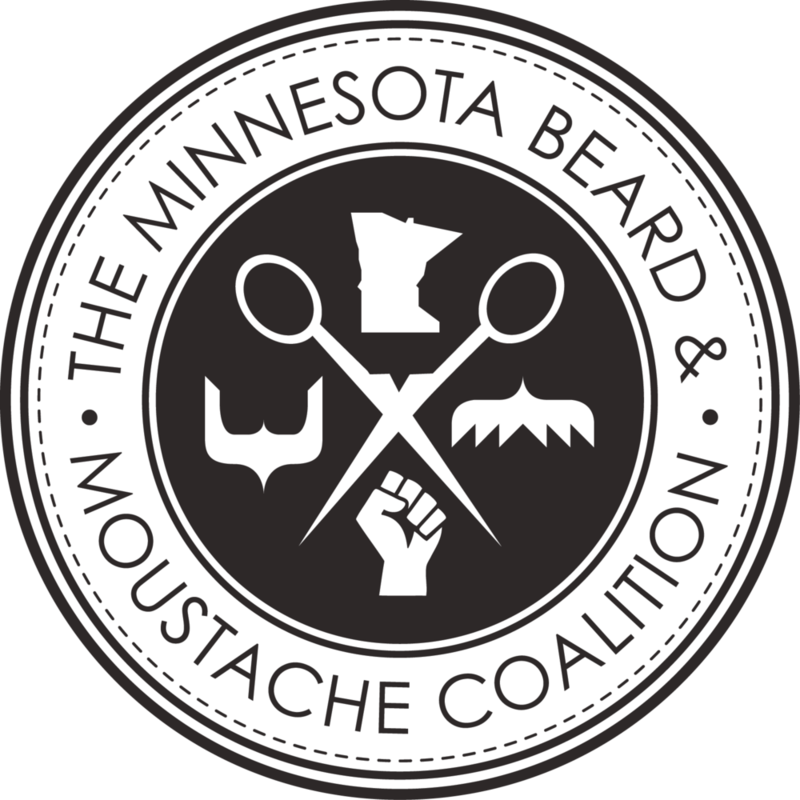 Originally inspired by founder, MJ Johnson’s desire “to document a modern history of facial hair in Minneapolis and advocate for facial hair acceptance in the workplace”, The MBMC has grown to become a 501(c)3 nonprofit with the mission To grow a more inclusive community through facial hair. Our commitment is to be a welcoming group of individuals who work with different partners to build a stronger, more vibrant community by focusing our efforts on a single cause or project. Do you have a charity/charities to benefit? Novem-BEARD is presented in partnership with and in benefit for The American Cancer Society. The MBMC has partnered with other charitable organizations in the past including The Sheridan Story, The Minnesota Autism Center, and Kody’s Closet. Proudest moment as a club: During the inaugural Novem-BEARD in 2017, hearing the inspiration stories from cancer survivors and those who have lost loved ones to cancer, coming together in support of each other and their community, and being reminded of why we do the work that we do. How long have you been bearding? I stopped "shaving" when I was 17/18, I've had some sort of facial hair ever since. Have you won any awards? Currently 4th in the World in Garibaldi Beard. Why do you do it and/or Best thing about it? I do it, because it's a fun time, all while raising money for worthwhile causes. Dressing up in costume, acting a fool, knowing you aren't the only one. NO JUDGEMENTS!!!! Why do you do it and/or Best thing about it? I enjoy bearding for the camaraderie and the charity. By getting involved in the worldwide bearding community I have met some truly wonderful and amazing people, expanded my personal and professional network, and helped raise tens of thousands of dollars for various charities around the US and the world. Have you won any awards? I have won 1st full beard at beards on the bay, tons of 2nd and third place trophies from other clubs. I finished 11th in full beard styled stache at worlds. Why do you do it and/or Best thing about it? My favorite thing about it (other then the people we meet in the bearding community) is helping LOCAL charities. I like to see our donations get put to work personally! How long have you been bearding? 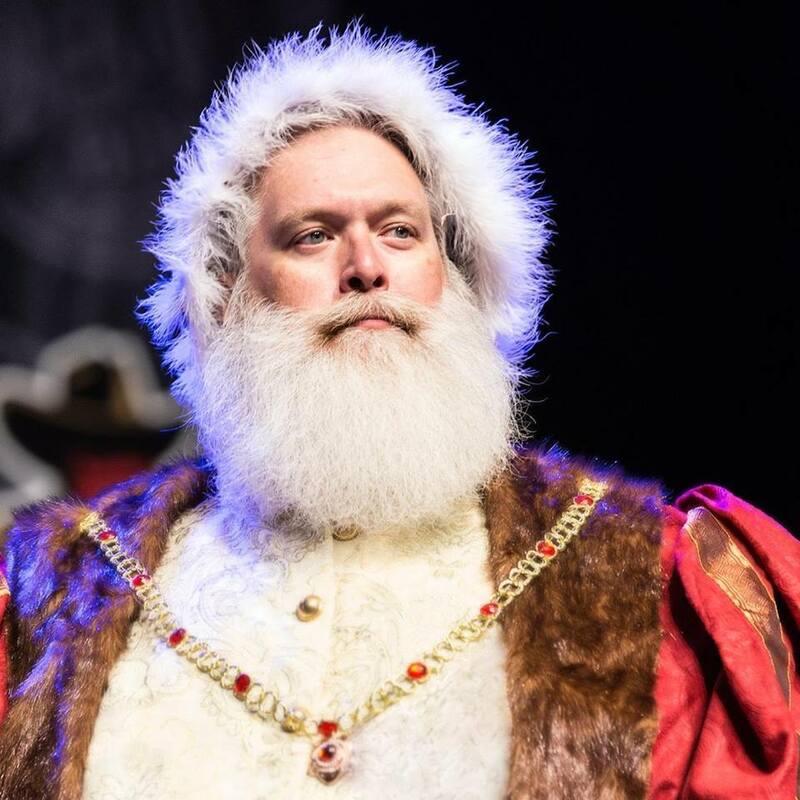 I was in my 1st competition at in Texas at Decembeard in 2013. Have you won any awards? I have a couple of 1st and 2nd place trophies here and there, although I'm most proud of my 9th place I got at Worlds in Austin. Why do you do it and/or Best thing about it? Honestly...combines most of my favorite things... I get to be silly, creative, raise money for a good cause, and hang out with my friends.